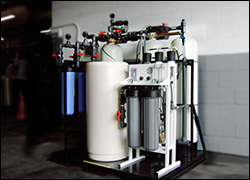 Water purification systems are critical in today’s marketplace. Water efficiency and water usage is very important from every aspect in environmental impact to the cost of production and manufacturing. Today’s water purification systems require meeting government regulations and saving money to the operator. Simply stated, an effective water purification system begins with the design. At All Water Systems, we have an experienced design team that takes a comprehensive approach to building a water purification system that not only meets the demanding requirements listed above, but that also is designed to manage your water for your specific application. Our water system design process begins by meeting with you to gather critical information about your process, your applications, and various factors that affect your water usage. Our design team of experienced engineers and designers meet to review all of the information to begin developing the right solution for your needs. Our years of industry experience helps us utilize past knowledge and to evaluate and compare new systems to anticipate the right design to meet your application and even go as far as designing the serviceability into the system. Because we are a privately owned company, our design team can choose the best components from a range of manufacturers rather than being tied to just one supplier. This enables our water purification system design to focus on meeting your specific needs instead of just clearing inventory off our shelves. Custom water system design is usually expensive, but at AWS, our design team utilizes their years of industry experience and water purification systems design to offer custom solutions at affordable prices. Our water purification system design team takes the hassles and confusions out of your decision making and gives you a solution that exceeds your expectations while staying within your budget. We really mean it when we say, “We sell solutions, not just products”. 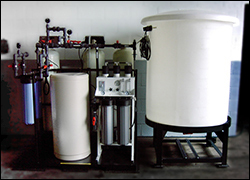 For more information about our water purification system design capabilities, call us at (412) 824-6560, or click here to contact us.